The 34th Field Artillery Regiment, to which the 34th Field Artillery Battalion is a successor, was first organized in August, 1918 at Camp McClellan, Alabama. It then was a unit of the 12th Field Artillery Brigade, 12th Division, in compliance with a memorandum from the General Staff dated July 5, 1918, and General Orders No. 20, Headquarters, Camp McClellan, Alabama, August 2, 1918. It remained in training at that station until February 6, 1919 when it was demobilized. It was reconstituted July 22, 1929, as an inactive unit of the Regular Army. 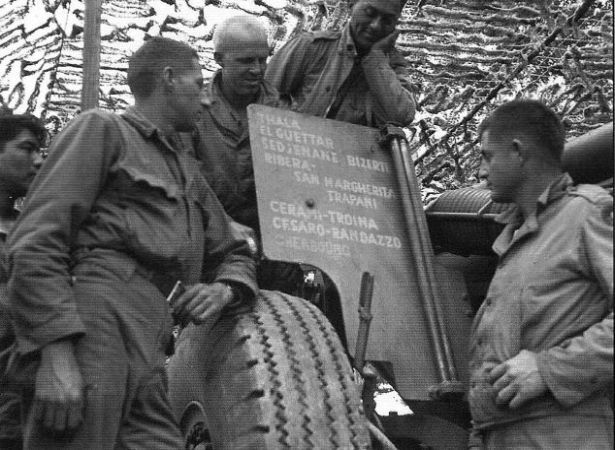 On August 1, 1940, the 34th Field Artillery Regiment was activated per General Orders Number 1, Headquarters, Ninth Division, of that date. A cadre of 107 men of the Fifth Field Artillery arrived by rail from Madison Barracks, New York, August 5, 1940, and was organized as Casual Detachment No. 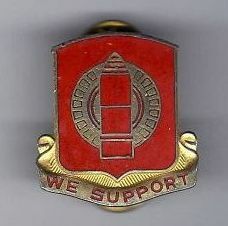 1, 34th Field Artillery. On August 10, 1940, a cadre of 107 men of the 77th Field Artillery, Fort D.A. Russell, Texas, arrived and was organized as Casual Detachment No. 2, 34th Field Artillery. On August 20th, 1940, Lieutenant Colonel Douglas J. Page was assigned an joined and became the first permanent commanding officer of the Regiment. Pursuant to instructions contained in a letter from the Adjutant General’s Office, Washington, D.C., dated September 25, 1940, and General Orders No. 7, Headquarters, Ninth Division, September 24, 1940, the 34th Field Artillery was re-designated the 34th Field Artillery Battalion, and on October 1, 1940, it was reorganized as such. The 34th Field Artillery Battalion used the 155mm Howitzers.